Our Black 48in. 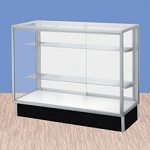 Half Vision Display Case gives your customers eighteen inches of front viewing area along with storage in the rear and bottom of this floor fixture. 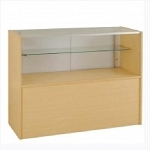 The twelve-inch adjustable shelf adds extra convenience to this showcase. Add the optional lights to really make this a radiant retail display. 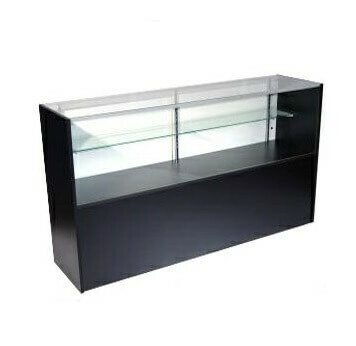 You can use the top of the display as a service area or for an extra counter. To best fit your decor we also offer this case in maple and white. Order yours today!